We’d love your help. Let us know what’s wrong with this preview of Impact by J. Scott Coatsworth. Four definitions to inspire writers around the world, and an unlimited number of possible stories to tell. Here are 110 of our favorites. To ask other readers questions about Impact, please sign up. 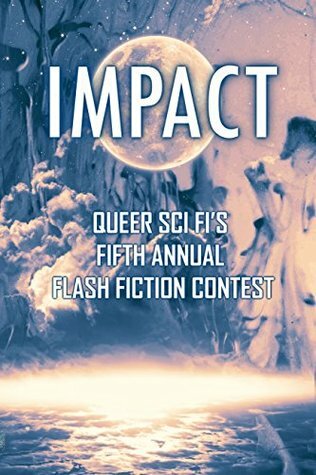 This masterful, compelling 300 word speculative flash fiction anthology has something for everyone. There are no wasted words, no fluff, and absolutely no treacle. This is a keeper and I’ll read it again and again. • This masterful, compelling 300 word speculative flash fiction anthology has something for everyone. There are no wasted words, no fluff, and absolutely no treacle. This is a keeper and I’ll read it again and again. From that review: " I'm in love with the flash fiction format. It's so difficult for an author to build a universe, characters and then fit them into a well constructed story in a much larger framework, let alone one of 300 words. Yet here's an anthology of 245 pages of writers and stories, all you could want, do exactly that. Mostly science fiction, but there's fantasy and some horror as well (divided into sections). Small amuse bouche's of fiction to delight and tantalize your narrative taste buds." Enjoyable collection, overall. For there being 110 stories total, there were surprisingly few that I did not enjoy. The rest ranged from interesting to awesome. While I usually try to review every story separately, it seemed impractical here. Likewise, I'm not going to try to mark off all the shelves the various stories fit under, beyond the basic SFF. Among all the stories in this anthology (and not taking mine into consideration because hey, I am biased toward my own work), there were many that made me wish for a longer version, the characters were sooo riveting and the world-building so striking. For all these authors who managed to pull me in their worlds in 300 words or less, I will be looking for their other books! !